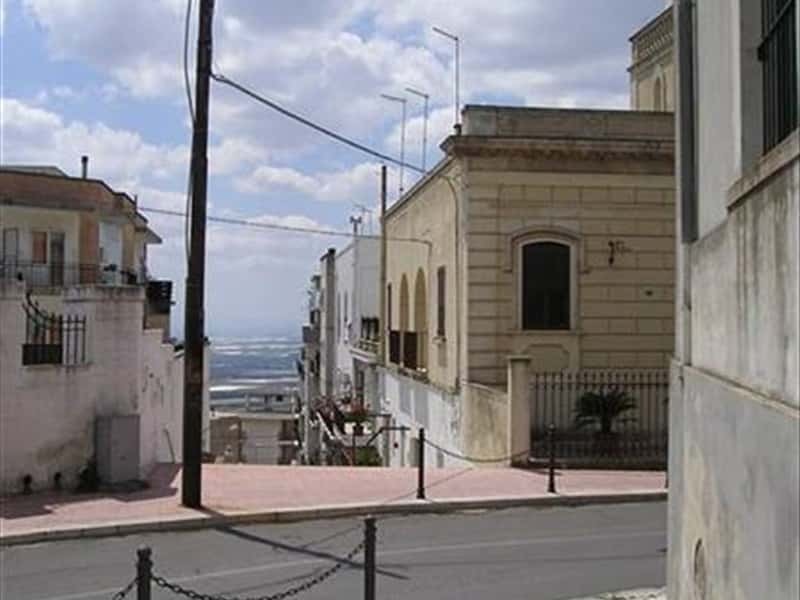 Mottola is a hillside town of the province of Taranto at 28 km from city of Taranto. In a quite high location at 387 metres above sea level, it dominates the gulf of Taranto. The territory, from an environment point of view can be divided into two large areas of interest. The first is the one of the clefts (gravine), situated South of the town centre. The other, at North, is a plateau which in some points reaches even 500 m above sea level. This last one is almost completely covered by oak tree woods and Mottola owns 5800 hectares, approx. 30% of its whole territory and are the last strips of an immense wood that in the late 800 covered this area of Puglia and Basilicata. The area of the clefts (gravine), large crevasses mined in the chalky rocks, from a historical and geological point of view are similar to other ones in the Murgia Tarantina area. It hosted inhabitants since the ancient times and there are many bronze traces from the Iron Age but it was in the last centuries before year 1000, under the influence of the Bizantine monks, devoted to Saint Basilio, that the rocky settlement had their major glory. Hundreds are the caves built and many are churches, some with wonderful wall paintings. The most important, from an artistic evaluation, is the crypt of Saint Nicola. Very interesting and often studied is also the necropolis of Casalrotto. The clefts were lived in between the XI and XII centuries. To visit: the Mother Church of the XII century in Romanic style and le high Greek walls of the Hellenistic period (VI century a.C.). This town web page has been visited 25,301 times.